While the Animal Connection may be off many San Franciscans’ beaten path, the city’s largest independent pet store is well worth the trip. The shop’s spacious interior is filled with all things animal, from food and bedding to toys and care guides. The Animal Connection’s devotion to educating pet owners is bar none: in the shop’s front entrance, stacks of complimentary literature offer information on critters from chinchillas to aquatic turtles. 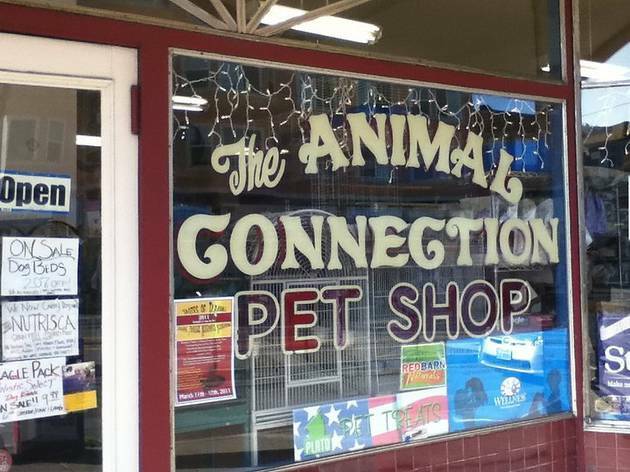 In addition to supplies, the Animal Connection sells live fish, birds, reptiles, and rodents. If you’re looking for a new friend but unsure of where to start, the on-staff bird and reptile experts are nonpareil; with the largest selection of reptiles in the city, lizard lovers will be especially pleased. If you already have an exotic pet, take advantage of the shop’s moderately priced grooming and boarding for reptiles, birds, and small animals. 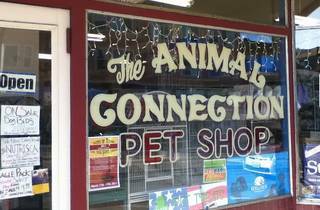 Additionally, the Animal Connection frequently offers free wing and nail grooming for owners of birds and small animals, and all new parents to shelter pets get 15% off their first purchase if they bring their adoption papers.